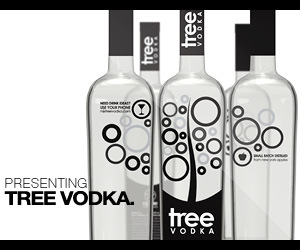 Notes: Honeoye Falls Distillery is one of the newer distilleries in the Rochester and Finger Lakes area. Located about 30 minutes south of Rochester it is nestled in the hill and drumlins of the Finger Lakes area and draws its water from the nearby Finger Lakes of Canadice and Hemlock Lakes ( both of whom are water supplies also for the city of Rochester and known for the taste ad purity of their water. They use a second generation ( as I call it as significant improvements have been made over the first models) Artisan Still Works stainless steel steam fired still with a column and copper inserts. 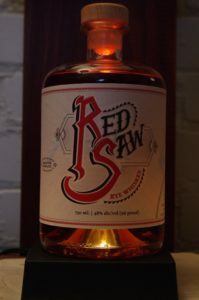 This is their aged rye spirit called Red Saw Rye made with the same grain mash bill as their vodka but brought off at a lower proof to preserve the flavors and characteristics to a greater degree than the Frozen Falls Vodka and aged in small barrels. The review of their first attempt Batch one which was aged in 5 gallon barrels for 3 months ( about all you can get from a 5 gallon barrel depending on char level and storage conditions ) is here, The next release that I have reviewed was Batch 4 using 10 gallon barrels and aged for 6-9 months They also produce an unaged rye by the name of Lantern Light Rye Moonshine, a gin called Devils Bathtub Gin, a barrel aged Gin called Devils Bathtub Rested Gin and an extremely limited release of their Pilot Batch of Bourbon along with their Red Absinthe and a more standard Green Absinthe. This is their 6th Batch of rye and it was put up in 15 gallon barrels and aged for 9 months which is 3 times longer than their first batch in a barrel 1/3 the size of this one. Like everyone else they did this for rapid aging, and prototyping . Like many others they have since abandoned the use of 5 , 10, 15, and even the 30 gallon barrels are on their way out as they transition to 53 gallon fresh American oak barrels in their quest for longer and better aging of their spirits. Further reviews of later batches using larger barrels and longer aging times are found elsewhere in Spirits Review as they become available. Please use our search function to give them a look ! First Impression: Lovely barrel notes , with heavy rye notes with the characteristic sweet and sour, bready notes, traces of heather, barley and mint . Taste: Woody, spicy, slightly minty, honey with loads of grain with a slightly drying, nicely warming finish. But the oak char is less overbalanced than the previous release . Quite a bit of oak char and a drying kick to it but a bit more settled. Think of a lighter, kinder, gentler version of the Balcones Brimstone. Plenty of oak without being a barrel stave between the eyes. Bottle: Clear glass 750 ML bottle that is vaguely apothecary like in nature BUT not the usual bell shaped bottle, with a slightly concave bottom rounded shoulders and a wider lip to the collar both fits the hand and is easy to pick up.The label is distinctive and easy to see at a distance or in poor light and graphics are high quality.This bottle is distinguished from its sister bottle ( of the Red Saw bourbon whiskey) by a cream colored field And capital letters with red and the rest of the letters in black. Bottle is topped by an attractive wooden top and a cream/tan synthetic cork to finish a distinctive and nice looking bottle that sits nicely on a shelf. Final Thoughts: Impressive for such a young rye from such a new distillery , the oak is a bit more than I would prefer but it does work well that way in certain cocktails . Scores are based against similar whiskies of longer age and larger barrel size . Very few distillery do well with young whiskey in small barrels. 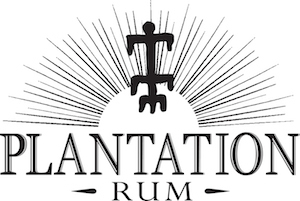 That fact that it was drinkable and somewhat pleasant and interesting is more than I can say about a number of other local distilleries ( indeed anywhere) when they start making whiskies.